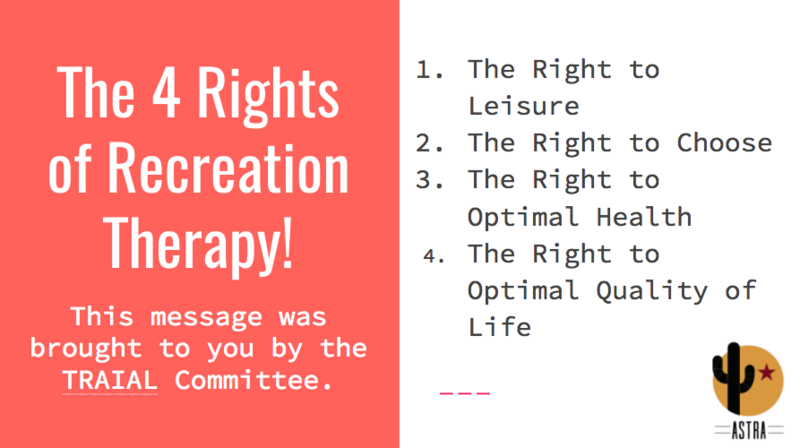 Welcome to the Therapeutic Recreation Advocacy in Arizona and Legislative Movement, better known as the TRAIAL Committee! 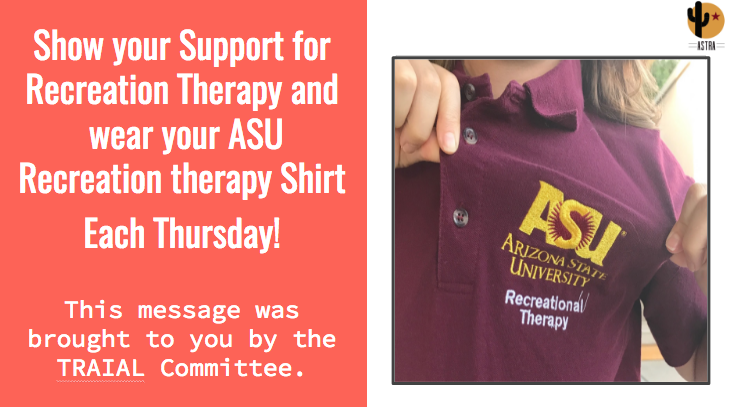 We are a subcommittee of ASTRA that supports current advocacy and legislative efforts on behalf of Recreation Therapists in the state of Arizona. 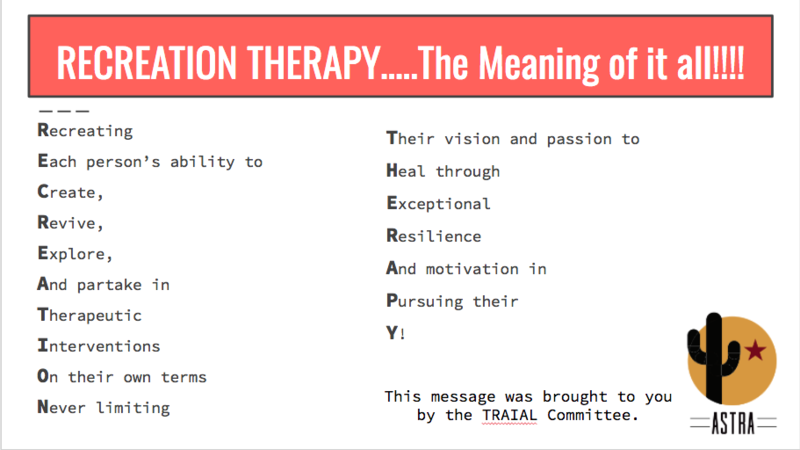 TRAIAL was formed in November 2016 as a result of legislative forum held by ASTRA in which our members expressed a need for further advocacy efforts on behalf of Recreation Therapists in the state of Arizona. The TRAIAL subcommittee hopes to eventually pursue licensure to safeguard the profession in the state of Arizona from a professional, as well as, consumer standpoint. We welcome any and all inquiries. Our Legislative Chair, Savannah Geare can be reached by the contact information provided on the Board of Directors tab above. We are always looking for support. Look into our blog below, share us on social media, and participate in upcoming TRAIAL events! Stay up to date with upcoming TRAIAL events listed below. Make sure to RSVP so we know who we are expecting and can provide participants with information potentially needed to prepare. Participate in our blog below and contribute any recent advocacy and/or legislative efforts that would be valuable to our community. 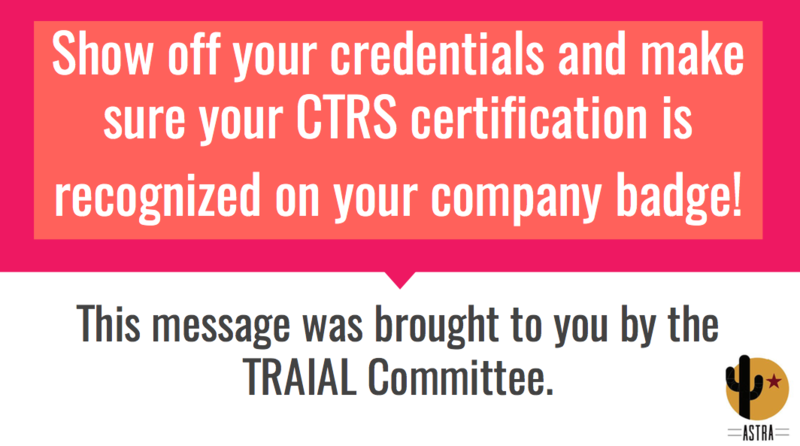 Follow the link below provided by ATRA to find out how to contact your legislators and what to say. In addition, you will find information on current legislative efforts across the nation. Share our page on social media with the buttons below to promote support for Therapeutic Recreation Advocacy in Arizona and Legislative efforts.